Cod, Martha’s Vineyard and Nantucket.  We have over 30 years of experience installing solar systems on Cape Cod and the islands. We are passionate about renewable energy & conserving natural resources and believe small actions by many are the means to a sustainable future. 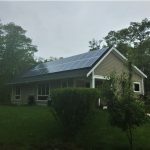 We make going solar easy! Complete turnkey services including: system design, energy needs analyses, economic feasibility studies, installation, and commissioning. Our in-house expertise assures you are taken care of through the entire process. Cotuit Solar is with you every step of the way. We are known in our community for excellent customer service which is why the majority of our customers are from word of mouth referrals. Check out our $350 Referral Bonus Program! Cotuit Solar is a small, independently owned, family friendly business. We aim to please. Your feedback matters and we would love to hear from you! Review us on Yelp, Google, SolarReviews or email us about your experience working with us. We strive to continually improve our process. We love our happy customers! “I would like to thank you and the rest of the ream at Cotuit Solar, my interactions with you folks have been nothing but positive. Great job! 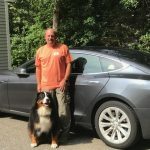 "I just passed the one-year anniversary of the installation of my photovoltaic system, which consists of 25 LG300 panels, 7500 W, installed by Cotuit Solar. The post-installation analysis estimated that my yearly production would be 7875 kWh. My actual production for the year just past was 8310 kWh. I’m very happy about that we exceeded expectations, and I’m glad that the estimate was honest and conservative. My net meter was at 550 kWh, so my total use for the year was 8860 kWh. Of this, I estimate that 5360 kWh was for my house and 3500 was for my electric vehicle. So solar covered all of my household needs, and almost 94% of my total usage. 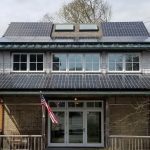 I’m very pleased with the system and with the work that Cotuit Solar did. The people are great and my system has performed flawlessly." "We are SOOOOO excited, thank you! We can’t believe we are generating energy - what a great feeling! 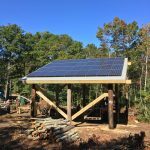 The entire Cotuit Solar Team made each and every step simple and painless. I can’t wait to get my next Eversource bill - ha!" 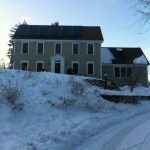 Cotuit Solar was extremely helpful before, during and after my solar installation. They completely demystified the sea of paperwork, necessary for the various state and federal tax credits and other incentive programs. 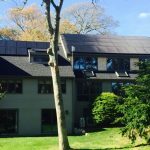 "I am totally impressed with Cotuit Solar. We had a great experience with a very well organized and impressively staffed company. 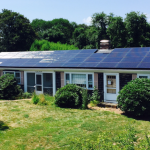 I feel that we got spoiled by the outstanding service that Cotuit Solar offered. 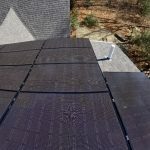 We had a large and a challenging installation and reached out to get recommendations from 3 well-esteemed solar companies, one being Cotuit Solar. Cotuit Solar came back with the best design and a very competitive price so we chose them . But that was just the beginning of good results. The installation went perfectly and right within the time slot we needed. Furthermore Cotuit gave us so much assistance with the financial side, the grants and loans. We realized why many of our peers recommended them. This organization is so well organized, personable and responsive. There is always a knowledgeable person at the office to answer questions. I feel so fortunate about the entire project." Cotuit Solar installed my 5.4 kWh PV system in January of 2012. Since then it has performed flawlessly. Absolutely no maintenance cost during that time. It has been a net-zero system. Love those quarterly SRECs. "Fantastic total experience! Calls were always returned extremely fast. A fantastic company to work with. Every Step! Thanks again for your help."  "They did a quality installation, did it when they said they would, and at the price they quoted and most of all, they care about what they are doing. 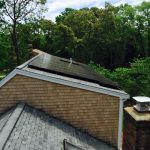 I was very pleased with Cotuit Solar from start to finish and would recommend them without reservation." Great Experience!! 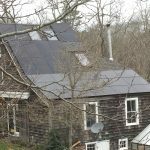 Cotuit Solar just installed a new system at my home and I couldn't be happier. They helped with all of the paperwork and answered all of my questions. The office staff and the installation crew were polite and very friendly. They made the whole process easy and they kept me informed every step of the way. Anyone considering solar power in the area should call Cotuit Solar! "The crews were fantastic, Conrad should be proud, and consider himself lucky to have such good people. Mind you this is coming from a very meticulous and tough to please person when it comes to workmanship. I have been in the trades for 48 years and have seen it all." Your opinion matters!  Once your solar installation is complete, we would love to hear your feedback. 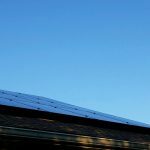 Find us on Facebook and stay up to date on Cotuit Solar news! As a small, independent business, your opinion really does matter. Leave a review on Yelp, Google, SolarReviews or email us. For every friend you refer who signs up for our services, you will receive a check for $350.